Who were the first two democratically elected leaders of Russia? On Boris Yeltsin's page in Wikipedia there's the fact that on 12th June, 1991, he was elected by popular vote to the newly created post of President of the Russian Soviet Federative Socialist Republic (SFSR) and became the third democratically elected leader of Russia in history. Before Yeltsin at the times of Soviet Union leaders were elected by Soviet Party and before Russian Revolution there was ruling of Tsars in Russia. So who were the first two democratically elected leaders of Russia? Georgy Lvov and Alexander Kerensky. Though not specifically elected to be the head of the country, they had nevertheless been democratically elected in legitimate elections. I guess this depends on how far you want to go back in time, on how wide must be the suffrage for you to accept the election as "democratic", on whether the elected official would have a time limit for his rule, and on whether the next rule was expected to be elected as well. Arani's answer about Kerensky is correct as undisputed (except by Bolsheviks) democratic election. On the other hand, if you accept election of the next Czar by Zemsky Sobor as "democratic" then notice that the 1st Romanov was elected. One can consider Boris Godunov who was elected by the Land Assembly in 1598. Yet he already was at power at the time, only wanted to formalize it. 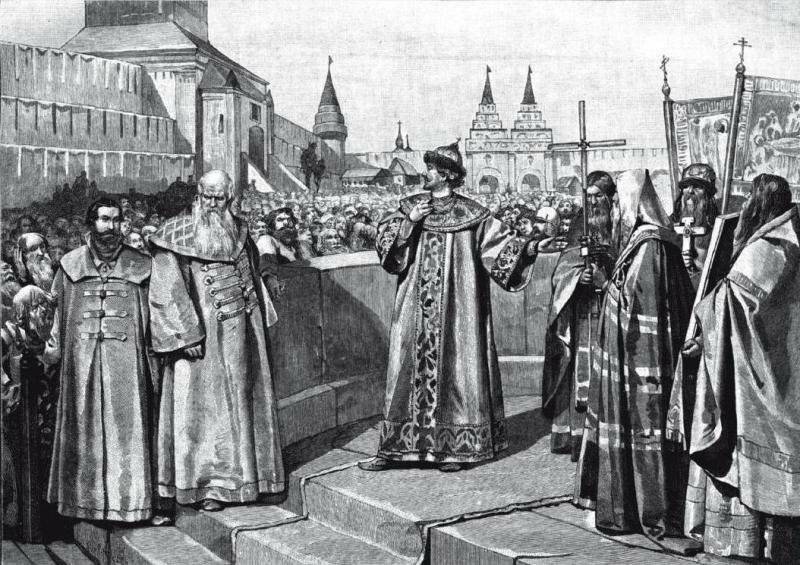 It is possible though that the first tsar to be elected was Feodor I in 1584. In Russia there was a city "Master Great Novgorod" (Господин Великий Новгород). To protect the city a knyaz (князь) was elected. 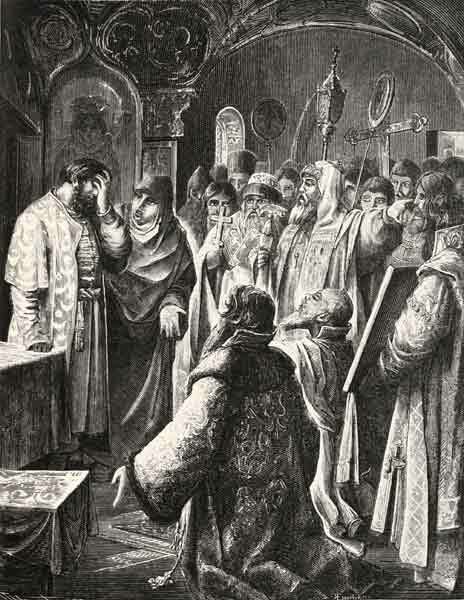 For example, Alexander Nevsky was elected to protect Novgorod from the Swedes. In "The Veles Book", it is said that the Veche (national assembly) ruled in Russia for 15 centuries. The knyaz were elected by all the people, but then the knyazs betrayed the covenants of their ancestors and remained in power without further elections. We had Veche. It was what the Veche decided. What did not solve Veche - was not. The knyazes were elected. We were ruled for 15 centuries by Veche. And they gathered at the Veche. And they were judged by anyone, both subordinate and principal. Our fathers ruled there and anyone could say their word. But we ended prosperity because of the Khazars after the centuries of Troyan, When the knyazes gained power with their sons and grandsons, despite the Veche's decision. Not the answer you're looking for? Browse other questions tagged soviet-union russia democracy or ask your own question. Were there opium dens in Russia during the 19th century? Was Nicholas II Romanov the last king of Poland? Who was the first Russian in space (not Soviet)? Who were these two 1961 Soviet pilot defectors? Why is there hostility between Russia and the Baltic states? Is Russia a direct successor of the USSR? Could the USSR be considered to continue existing under a different name? Was Kaliningrad offered to the Lithuanian SSR; was this offer rejected; and if so, why? What did Russia do about Caucasus oil after the collapse of the Soviet Union? 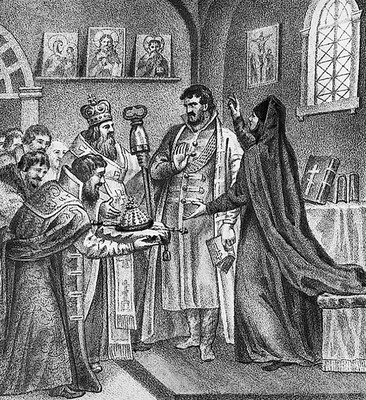 What was the average age of first marriage in 18th century Russia?